ARUSHA, Tanzania – Pierre Nkurunziza, the Burundian President has sent his First Vice President Gaston Sindimwo to represent him at the 38th Extra-Ordinary Meeting of the East African Community (EAC) in Arusha, Tanzania today Feb 1. 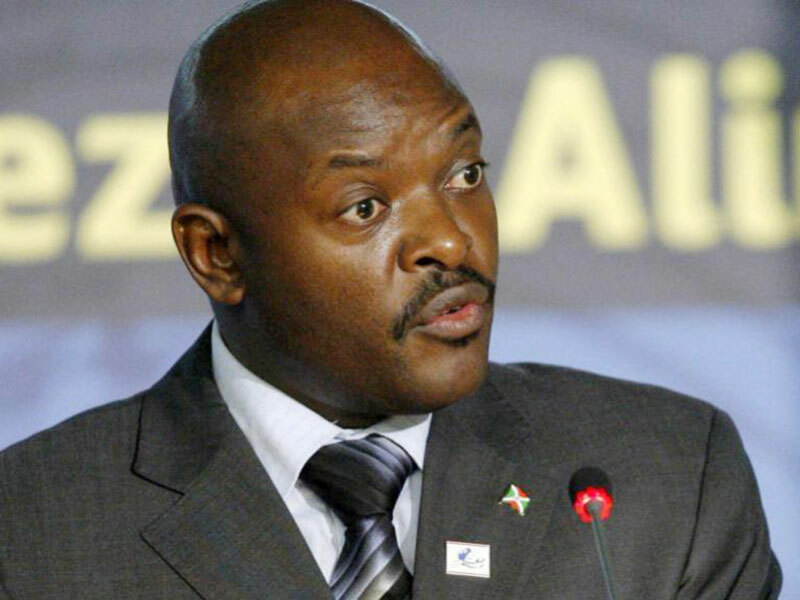 Nkurunziza missed out the summit last year which forced the meeting to be postponed to 2019. The EAC rules require representation by all member states in line with Rule 11 from EAC Rules of Procedure for Council for the resolutions of meetings to be binding. According to Burundi, the EAC meetings were scheduled at a time when the country was mourning its Independence Heroes Prince Louis Rwagasore and Melchoir Ndadaye. This time round, Nkurunziza sends his VP to meet with leaders who include Kenya’s Uhuru Kenyatta, South Sudan president Salva Kiir, Paul Kagame of Rwanda and Tanzania’s John Magufuli. Contrary, Rwanda will today February 1 hold its annual Heroes’ Day celebrations in Kigali which are usually presided over by the President. In a letter to President Museveni who happens to be the EAC chairman, Nkurunziza last year accused Rwanda of destabilizing his country. “In addition to the fact that Rwanda has prepared and supervised the coup detat of 2015, the coup perpetrators and other criminals have taken up residence where they receive support to attack Burundi; crossing the Rwanda-Burundi border or via the East of Democratic Republic of Congo as well as getting them assistance and travel documents to enable them to circulate in the region and even in Europe,” said Nkurunziza. The heads-of-state meeting is preceded by a three-day meeting which kicked off on January 28 with the Session of Senior Officials of Senior Officials which was be followed by the Session of Permanent/Principal Secretaries/Undersecretaries on Tuesday and the Ministerial Session on January, 30, 2019. Among the items on the Provisional Agenda of the EAC Heads of State Summit are: the status of ratification of various protocols; the status of resolution of long outstanding non-tariff barriers and the progress report on the adoption of Political Confederation as a Transitional Model to the East African Political Federation. Other issues set for consideration are the road-map for the accelerated integration of South Sudan into the EAC and the verification exercise for the admission of Somalia into the Community. The Summit will also consider reports on modalities for the promotion of Motor Vehicle Assembly in East Africa aimed at reducing importation of used vehicles into the Community and the review of the textile and leather sector with a view to developing a strong and competitive domestic sector that gives consumers better choice than imported textile and footwear.